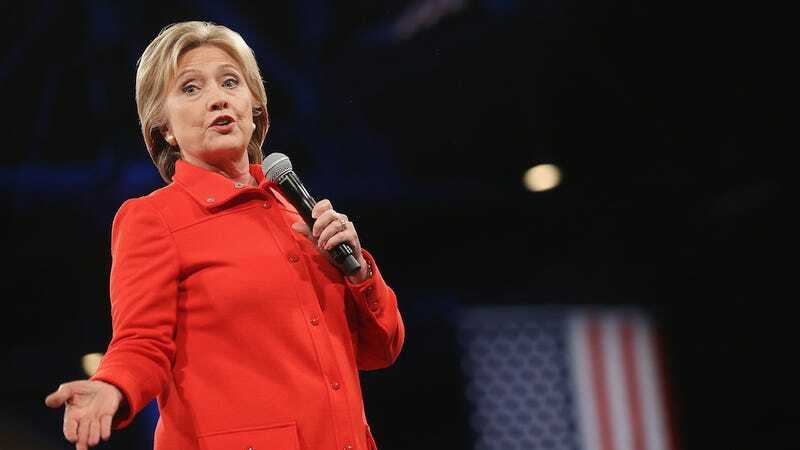 During the Politics and Eggs breakfast in Manchester, New Hampshire this Wednesday, presidential hopeful Hillary Clinton managed to yet again stand out against her fellow Democratic candidates, this time by coming out in support of the death penalty. While Bernie Saunders, Martin O’Malley, and Ruth Bader Ginsburg (not a presidential candidate, but a moral compass of the left) have all called for the end of the death penalty, Clinton has taken a much more tactical and politically safe (read: craven) approach. She is for the death penalty, but only when the condemned really deserve it. According to Amnesty International, the death penalty in the U.S. is racially biased (murderers are more likely to be condemned to death if their victims are white), a huge waste of government funds, and ineffective in deterring people from crime. People executed are often mentally ill and many executed prisoners have later had their convictions overturned. In 2011, Troy Davis was murdered by the state of Georgia despite his probable innocence. Two-thirds of the world’s countries have already abolished the death penalty and it is entirely illegal in the European Union. The majority of the world’s executions take place in the United States, China, Yemen, North Korea, and Iran. Clinton is right in that “the death penalty has been too frequently applied, and too often in a discriminatory way.” The only way to stop that from happening is to abolish it completely.